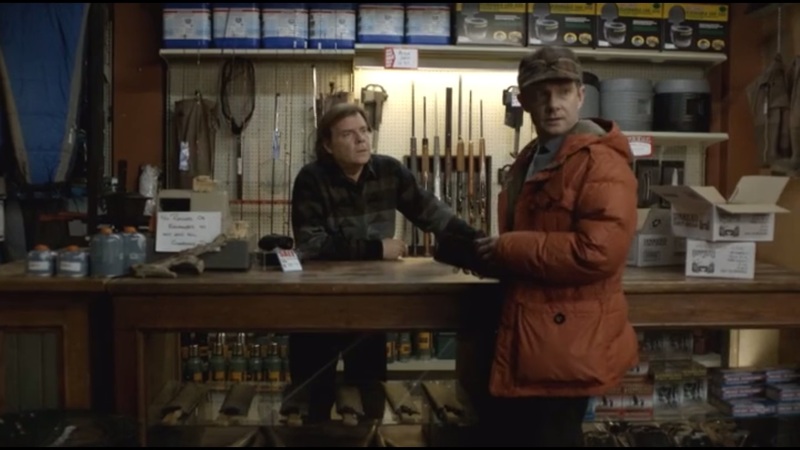 A Look at Fargo- Season 1, Episode 5: “The Six Ungraspables” | What Else is on Now? 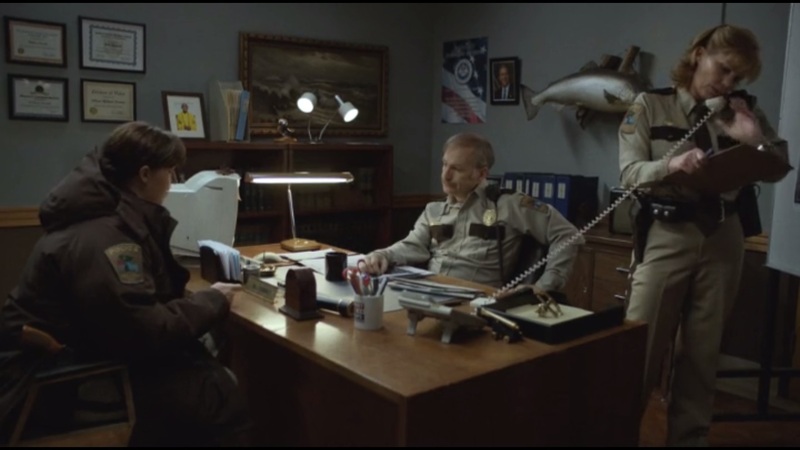 This week’s Fargo, entitled “The Six Ungraspables,” has a few conveniences, but, like last week, shows the repercussions of our actions. Even more than that, just when some of the characters we follow here come close to finally grasping victory, it eludes them yet again. They tempt fate by getting dangerously close, but as a result, we see more assertion from characters like Gus and Molly, something I’d wanted coming out of last week’s episode. 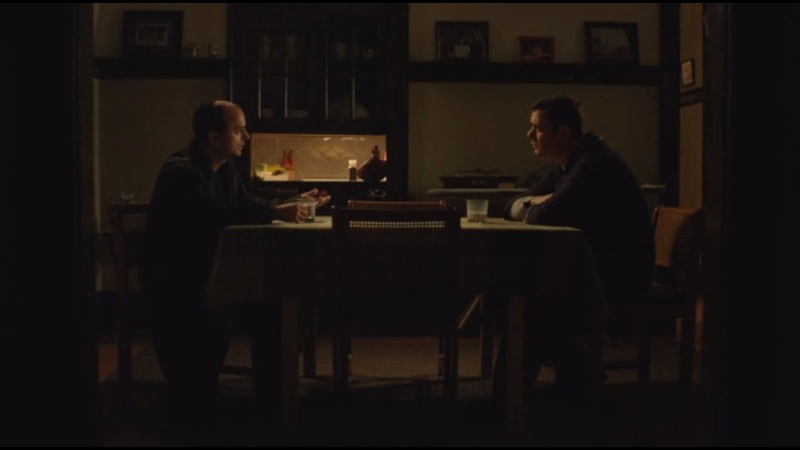 However, as Fargo illustrates with its parables, neither of them is able to go at this alone and they shouldn’t try. We’re slowly seeing the puzzle pieces of this case come together and Deputy Solverson definitely has Lester in her sights. The episode begins in…O Brother, Where Art Thou? Is that you? We start in the corn fields while a song that would fit perfectly in O Brother plays in the background. Lester goes through some irregular socks before finally deciding on a reasonable price: $3. You drive a hard bargain, Mr. Nygaard. 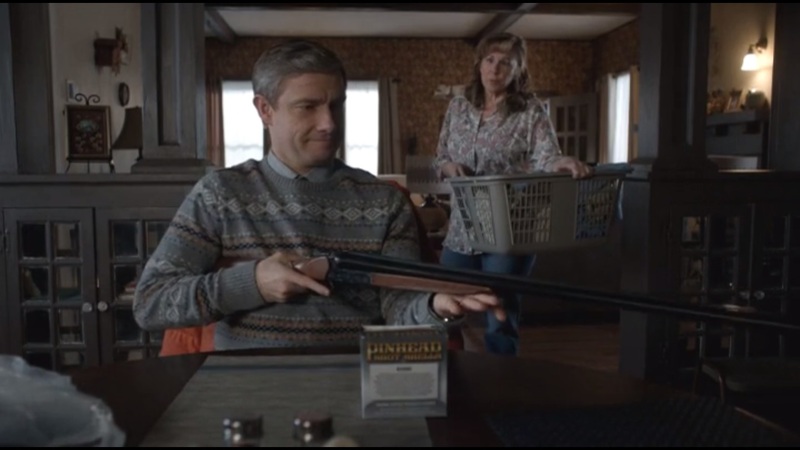 Regardless, the clerk throws Lester a better deal: pay $55 for the socks and he’ll throw in a 12-gague shotgun. Now that’s a bargain. Back at home, Pearl advises Lester to be careful to not blow off his face, as he’s apparently the only one foolish enough to shoot himself with an unloaded firearm. Lester puts the gun on a high shelf for safekeeping. Later on, hell breaks loose and Lester brings the gun down, but sets it in the bathroom. Once the gun is set, he heads to the door to meet with Officer Vern Thurman. 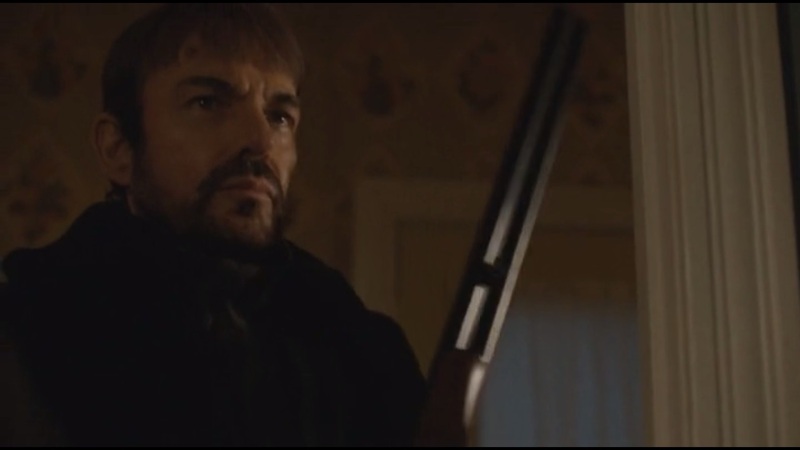 While Lester contends with the cop, Lorne Malvo approaches the bathroom and takes the gun. Moments later, Malvo fires, killing Vern Thurman. We cut to present day, where Mr. Numbers and Mr. Wrench get buddy-buddy with Lester. Lester tries to apologize for tasing Numbers, but Numbers is just interested in a name after hearing Lester say “him.” Lester plays dumb, but the way he said “him” implies that he can put a particular face to it. When Lester doesn’t give a satisfactory answer, Wrench removes his socks and blocks Lester’s mouth so he can’t scream out loud when Numbers presses into his wound. When the two stop, Lester spits out the name Lorne Malvo and admits that Malvo took his car. He tells the two that law enforcement has a photo, so they can consult with them. At this point, an officer comes by and informs Numbers and Wrench that their bail has been paid. As much as they’d like to stay, they have to go. When they leave, Lester loses his lunch. Molly, in civilian clothes, does some laundry before that apparently grows boring, so she figures, no way around it. She heads to the station to talk with Bill, who is speaking with another officer about developments on the incoming storm. Molly mentions the phone dump, Lorne Malvo’s photo, Malvo’s identification from the hotel owner, all of the pieces that fit together as a murder for hire deal that went sour. She figures that Lester hired Malvo to kill Sam Hess, but he didn’t have the money. At last, Bill’s on board, but the two can’t question Lester at home because he’s not at home- he’s in jail. Guess they better go talk to him. Gus requires the use of Greta’s computer, but since he’s one of those adults who doesn’t know how to use one, Greta does the searching while he supplies the information. They look up the name of a minister named Frank Peterson and find stories, one with a photo. After that, they look up the name Lorne Malvo and come up with zero results, as if Malvo himself was a ghost. 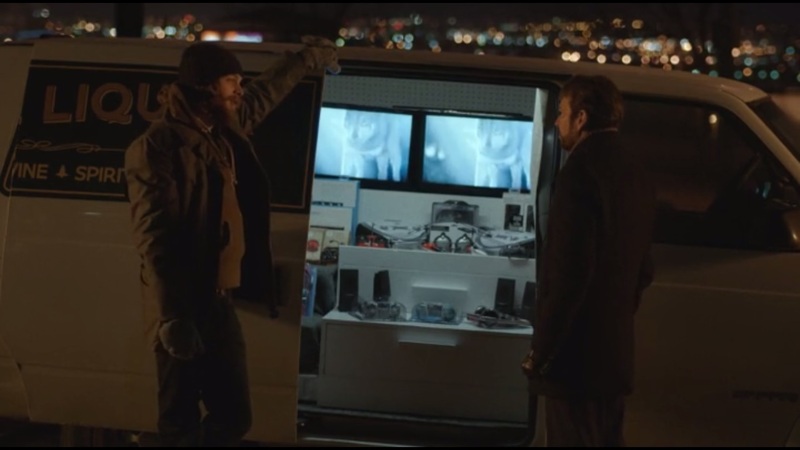 Speaking of Malvo, he returns to the dealer, this time in need of a scanner to he can monitor police activity. And not a pink scanner. He also requires a walkie-talkie, but the dealer tells him that the radios come in pairs. Malvo then shows up at Don Chumph’s and makes a phone call to Stavros Milos, who is still freaked out about the cricket plague and has been unable to sleep. The two will meet in an hour with the money. Chumph is ecstatic about the money and has lots of plans, but first, Malvo needs a drill and some long screws. Luckily, Chumph has both on hand. 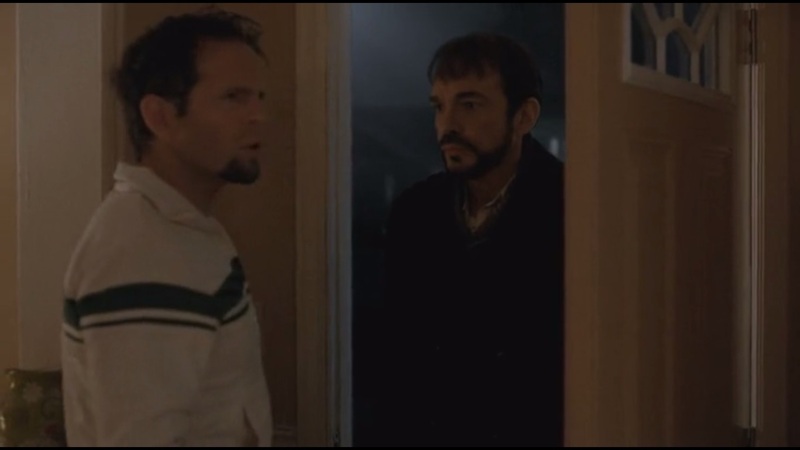 Malvo tells him to get inside the closet, which he does, and isn’t at all pleased when Malvo locks him inside. After all, tomorrow’s a big day and Malvo doesn’t want Chumph to get cold feet. Lester’s hand injury gets the better of him and he passes out while in holding. Riding along with him to the hospital is none other than Deputy Solverson. She has a few more questions regarding Sam Hess, but Lester’s just babbling incoherently. He does spit out that he never paid to have Hess killed, though. In the middle of this, a mystery officer delivers the surveillance photo of Lorne Malvo to Mr. Numbers and Mr. Wrench. Back at the Grimly residence, Gus has a talk with his neighbor from across the way, Ari Ziskind, played by Byron Noble. Gus shares his ethical dilemma: he knows a dangerous man that has everyone fooled, but he can’t prove it. He could, but unlike Solverson, he doesn’t have the detective instinct. He wonders if he should put himself in harm’s way. Ziskind shares the tale of a rich man, Jeremy Hoffstead, who had everything. After seeing the suffering of others, he decided to give away his entire fortune. It wasn’t enough, though. He then decided to donate his kidney, but even that wasn’t enough, so he went the extra mile and told the doctor that he wanted to give away all that he has. The doctor says such a request would be suicide, so when Hoffstead heads back home and find himself in his tub with a blade, he makes the only choice he has left. Moral of the story? Only a fool thinks he can solve the world’s problems. But, Gus asks, they should still try, right? 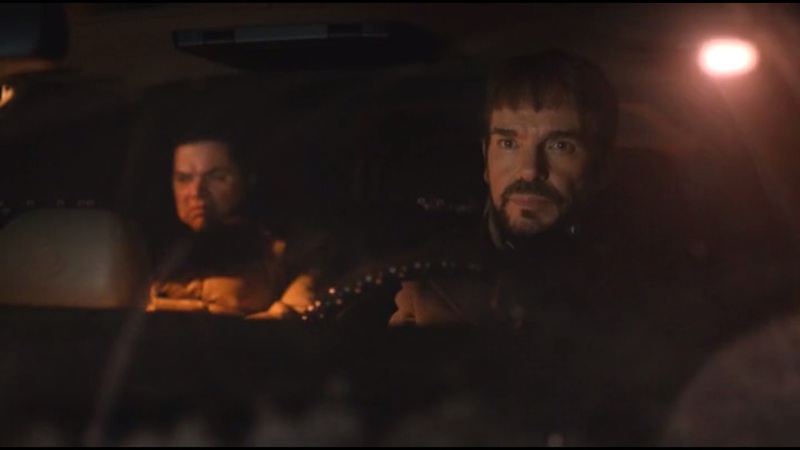 Grimly heads out around the same time that Malvo meets up with Milos. They make a quick stop at the Phoenix Farms shopping center. As Milos goes to pick up the money, his son enters to tell him that the crickets aren’t local, but Milos doesn’t give him the time of day and heads back out with the money. 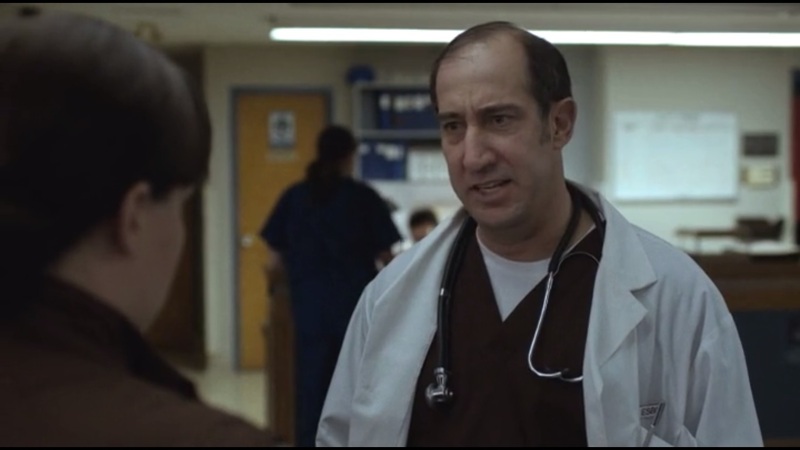 The doctor lets Molly know that Lester’s infection is due to a foreign object: a shotgun pellet that would have to pass through something or someone to get into his hand the way that it did. She wants to talk to Lester, but he’s been sedated. Solverson returns to Lester’s home and enters using the key under the doormat. How’d she know about that? Whatever. Anyway, she enters and notices the blood on the floor again. After heading downstairs, something draws her toward the laundry machine. She unscrews the back, pulls it off and finds…nothing. Back on the road, Malvo discusses the Romans: the most powerful empire the world has ever known collapsed because it was raised by wolves, which hunt and kill. Malvo tells the tale of a friend who had a Rottweiler. A girl thought it’d be a good idea to get on all fours and let the dog hump her, but the dog wasn’t in on the joke and wasn’t about to let her get up until he finished. The girl, too late, realizes the mistake and wants to get up, but the dog had other ideas. In the animal kingdom, there are no saints- only breakfast and dinner. He looks ahead and notices Grimly, so he turns up the high beams on his car and blinds Grimly. 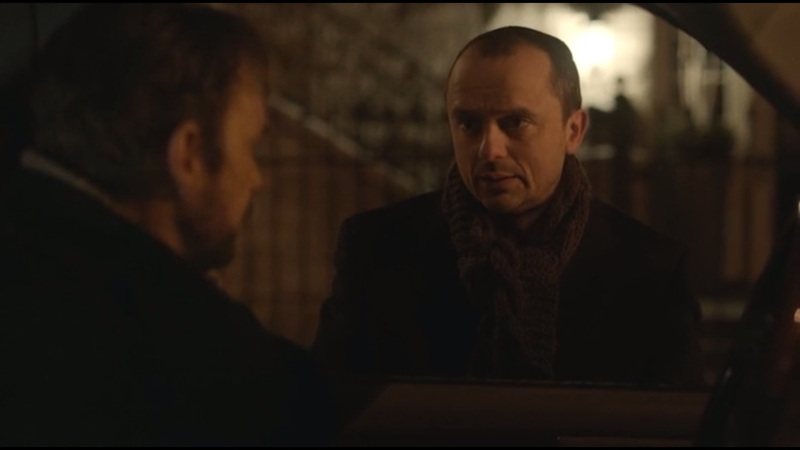 After arriving back at Milos’ place, Stavros tells Malvo that his work is finished. Grimly returns home and calls Solverson. The two update each other on their situations before deciding to meet in person tomorrow. From a distance, Malvo approaches and listens to the entire conversation through his scanner. He’s approached by Ziskind, who doesn’t recognize him and advises him to leave the area at once. As Malvo did with Grimly during their first encounter, he’s able to talk his way out of the situation, but also instill fear in Ziskind in the process. 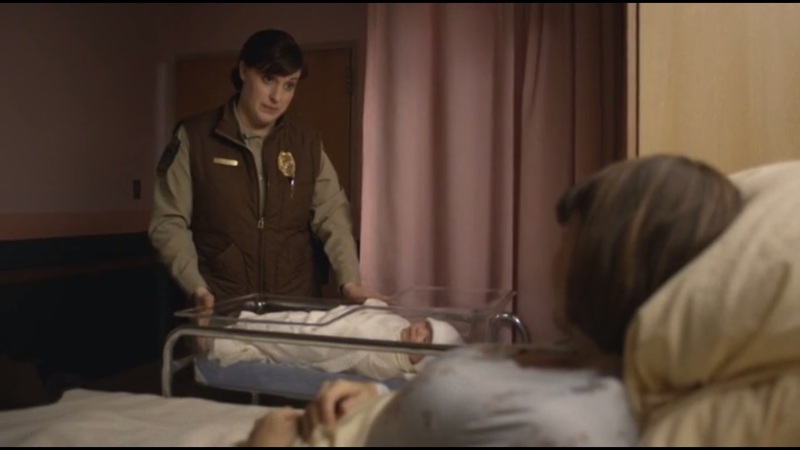 Back at the hospital, the officers celebrate the birth of Ida’s child. When Molly returns, she offers her congratulations and prepares to leave the hospital for the night. But not before checking in on her prey. She enters Lester’s room and glares from a distance, almost as if she’s peering into his soul. Lester, aware that someone has entered, doesn’t make a move. As the puzzle pieces come together, we see how a few good people in a sea of bad can make a difference. Gus, Greta and Molly are some of those people who still believe in a world with rules. This idea comes in conflict with Lorne’s belief that there are no rules, and when these two beliefs clash, everything becomes chaos. 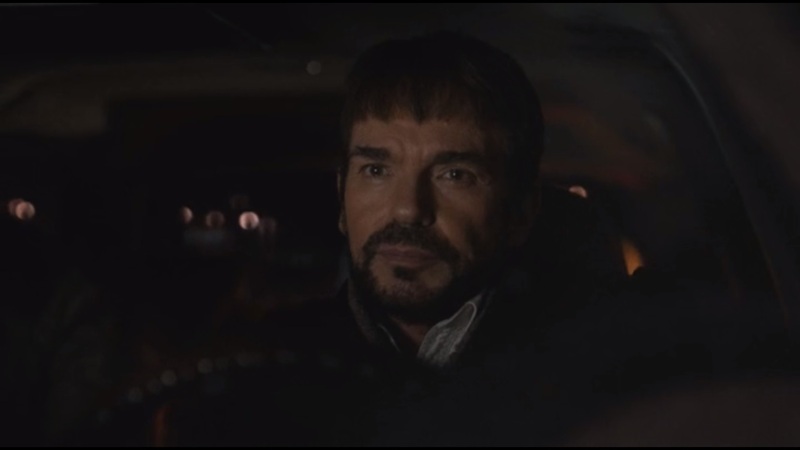 Throughout the series’ run, Malvo has existed almost as a ghost. He’s not against the spectacle, as evidenced in his mind games with Stavros Milos, but he prefers to remain hidden and unknown. This would explain how Gus and Greta literally find nothing on him and it makes me wonder whether he intentionally gave out his real name at the hotel, knowing that no one would be able to trace him. He is a man without fear and, thus far, has never met his match. No one understands how he thinks because they don’t know anything about him, but I get the sense that he likes to watch chaos unfold without being seen himself. Consider, he stood atop the shopping center when the crickets plagued the shoppers and heard Milos’ agonizing screams when blood rained upon him. I’ve compared Malvo to Anton Chigurh before, but in a way, he also reminds me a bit of the Joker in the sense that the character is so captivating because we don’t know his origin. In the same way that some Batman fans prefer that the Joker have no backstory, I think the same applies to Malvo because he’s shrouded in mystery. Heck, now I’m wondering whether Lorne Malvo is even his real name, even though it probably is and I’m just thinking too deep into this. His no-nonsense attitude and belief in no rules are what make him able to take advantage of Chumph and Lester so easily. And what a fake out that door scene was. In a very calm manner of speaking, Malvo asked for a series of tools that I was certain he’d use to kill Don with, only for him to just seal him inside a closet in his own house. The dark humor is emblematic of many of the Coen Brothers’ films, not the least of which includes Fargo itself. I mean, Malvo terrorizes and spooks, but he will let you know, point blank, that he does not want a pink police radio. That’s good writing. This show has gotten me to laugh at a killer who doesn’t like feminine colors. While it was a bit easy to give Grimly a sage-like character to speak with, it did help him deal with his issue of giving too much to the case when, as he admits, he’s not a detective. 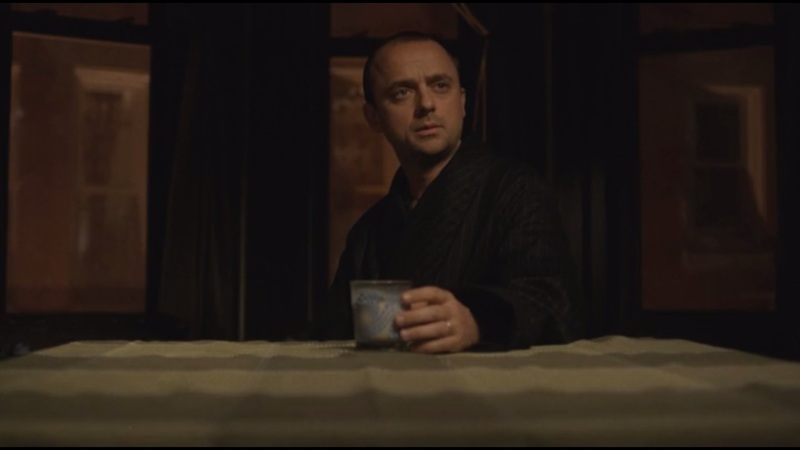 He doesn’t have the same smarts as Molly, he has a daughter to protect, and part of him still fears Malvo. He has clear motive to bring Malvo to justice, but going against a man he doesn’t understand at all makes it a challenge. There’s clear disappointment in his voice when he and Greta discover that Malvo yielded no search results online. He’s chasing a ghost, but cannot yet prove just how formidable Malvo is. I don’t think Grimly will try and give his life for this case. He has a daughter to look out for and he’s forming a strong partnership with Solverson. As much as he’d like to be more assertive, he won’t just throw caution to the wind because he wants to be a hero. He’ll be smart about it. Hopefully he shows more bravery, too. Lester really doesn’t go that far in terms of character development. 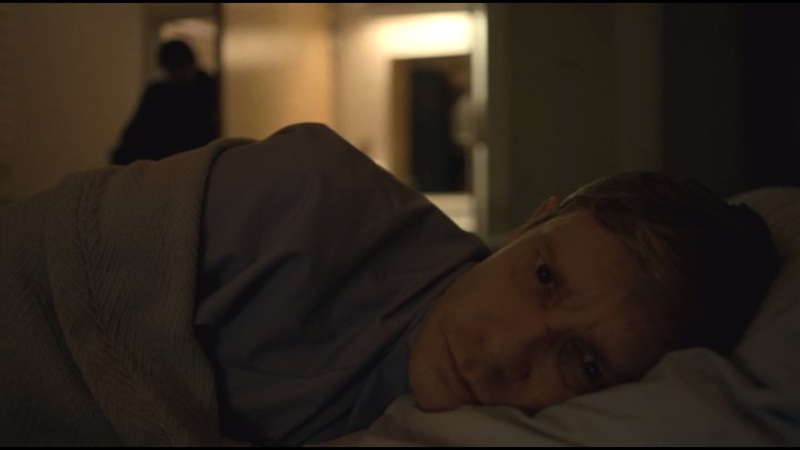 I liked the flashback that showed what happened before the series began, as it gave a look at how much Lester let Pearl walk over him and showed how he acquired the gun Malvo used to kill Vern. In the present, however, he’s let himself be manipulated by Lorne, which has started him on the downward spiral that he continues sliding down this week. Just as Lorne poisoned his mind, the shotgun pellet has continued to infect him ever since that horrible night when everything changed. He’s not willing to assert himself because he has nowhere to turn. After all, he didn’t want his brother to call the police to let him know he’d been kidnapped. 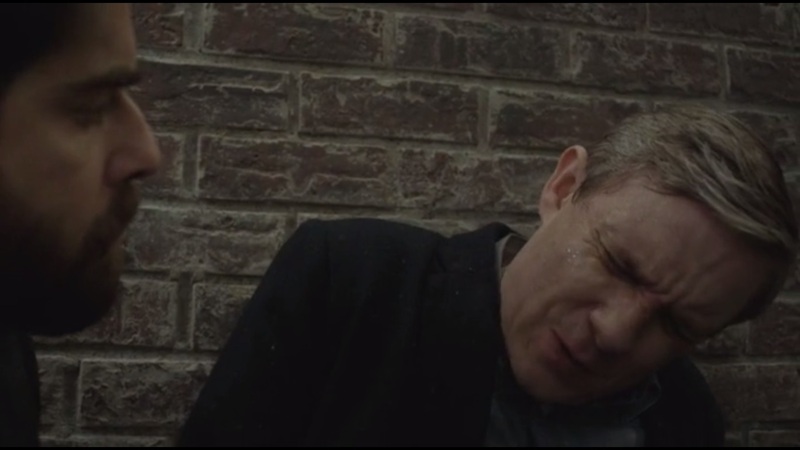 Sure, there are times when Lester fights when he’s literally backed into a corner, such as when he tased Mr. 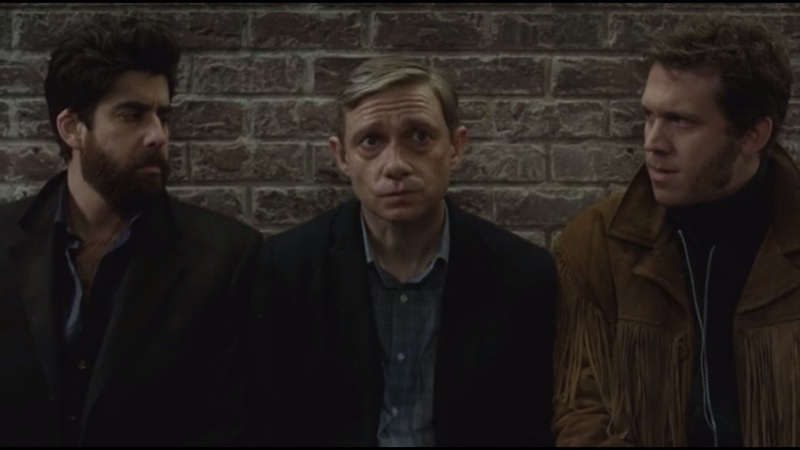 Numbers last week, but those moments don’t overshadow how much of a coward Lester is, and Martin Freeman has always been pretty good with conveying emotion in his facial expressions, not unlike he did on The Office or even Sherlock. The man is just too passive to stand up for himself. Too bad he can’t use Chaz’s gun to make more big holes and work out his aggression. All the while, Deputy Solverson would probably love to work out her aggression on Lester. The same way Malvo can see into everyone else’s souls, Molly can see straight through Lester and has most of the murder case figured out at this point. Good that she was finally able to get Bill on board with questioning him. All this time, he’s been willing to put Lester’s friendship first, but when Molly connects the dots right in front of him, it’s time to ask Lester a few more questions. At this point, I’m pretty sure Molly is back on the case, even though Bill hasn’t flat out said it. But her exceptional detective work was a standout this week. Yes, I do question Solverson entering someone’s home without a search warrant and by just using a key under the doormat. I’m not in law enforcement, but I’m unsure whether that’s legal. Ethical implications aside, I found it too convenient that she just happened to pull back the washing machine where Lester hid the hammer he used to bash Pearl to death with. So where is the hammer? We’ve seen him take it out, but I don’t remember him ever moving it. Regardless, it made for a tense scene that would have given Molly another reason to question Lester if she could get the murder weapon. Solverson pursues because she’s driven to get to the truth. She’s a hard worker, but I’m glad she got to have a moment to unwind and relax with Ida near the end of the episode. That kind of calm moment won’t come too often if she’s out to pursue Lester and get to the bottom of this Lorne Malvo mystery yet, given how she’s yet to meet the man in person. 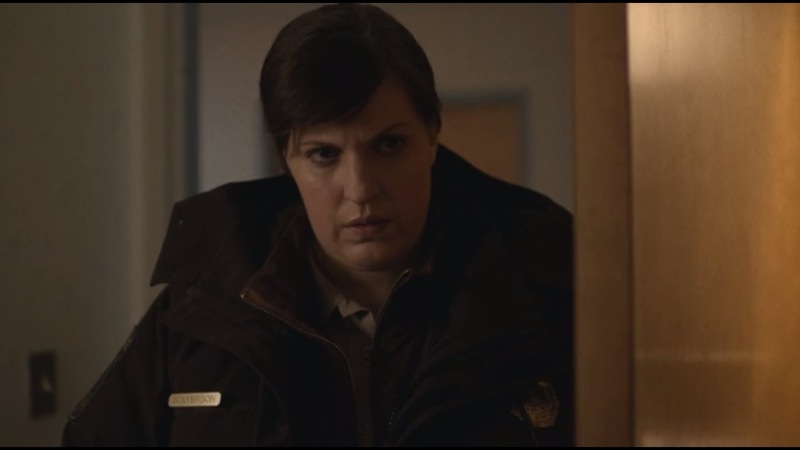 Allison Tolman turned in a great performance this week. She can play sweet, but flip on detective mode in an instant. 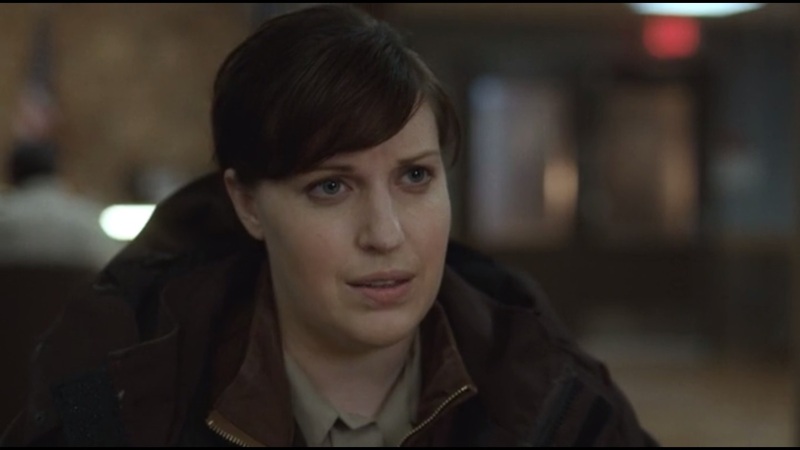 The death glare Molly gave Lester at the end of the episode was both creepy and foreboding. She’s got him locked in her vision and will not rest until this whole matter is solved. She just better make sure it’s done before this incoming storm approaches. Also, the mystery man who delivers the photo to Numbers and Wrench- I wonder what that’s all about. This entry was posted in Fargo and tagged Adam Goldberg, Allison Tolman, Ari Ziskind, Bill Oswalt, Billy Bob Thornton, Bob Odenkirk, Brian Markinson, Bruce Gold, Byron Noble, Carl Showalter, Carlos Diaz, Catherine Forbes, Chaz Nygaard, Coen Brothers, Colin Hanks, Crocodile Dilemma, dark comedy, Dave Trimble, Don Chumph, Ethan Coen, Eve Marlow, Fargo, Film, Frances McDormand, FX, FXX, Gina Hess, Glenn Howerton, Gus Grimly, Joel Coen, Joshua Close, Kate Walsh, Keith Carradine, Kelly Holden Bashar, Kevin O'Grady, Lester Nygaard, Lorne Malvo, Lou Solverson, Martin Freeman, Max Gold, Minnesota, Molly Solverson, Mr. Numbers, Mr. Wrench, Noah Hawley, Oliver Platt, Pearl Nygaard, Phil McCormick, Rachel Blachard, Russell Harvard, Shawn Doyle, Stavros Milos, Steve Buscemi, Vern Thurman, William H. Macy by omarid513. Bookmark the permalink. What was the name of the song at the end of episode 5?! A thought to contribute and highlight something I found really important – in your description of the interchange between Ziskind and Malvo….”As Malvo did with Grimly during their first encounter, he’s able to talk his way out of the situation, but also instill fear in Ziskind in the process.” I saw Ziskind was afraid but also incredibly courageous because he saw, sensed, and told Malvo he knew he was evil and to get the hell out of there….unmasking of Malvo by a man close to Gus….Ziskind saw into Malvo, and response and wording that Malvo to Ziskind showed his true evil, and Ziskind told him so and called him a name, Se’ivrim, a name for demon, showing Malvo he knew who he was and would remember. I hope this keeps Gus and Greta in good stead and safety in later episodes as at that moment, Malvo was just right outside their door, so to speak, to do what we doner? At the least Malvo knows where the two of them live but Ziskind became a gatekeeper and I hope will be in future episodes if Malvo returns to that neighborhood.